You can try out costumes of superheroes right now! This Superheroes mod adds 6 costumes with which you will get new super abilities. 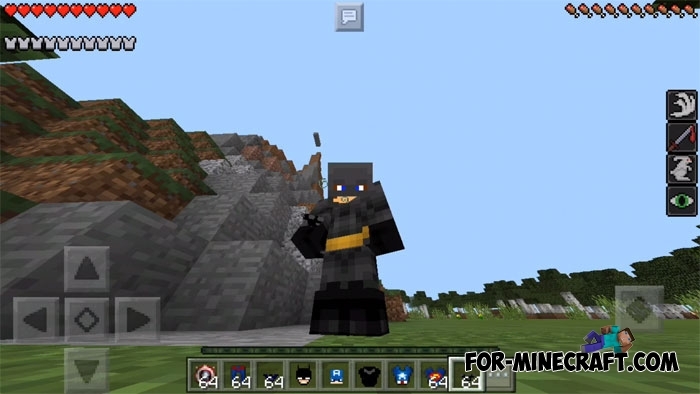 The creator collected some of the most popular superheroes and tried to create exact copies in the style of Minecraft PE. You need to wear a full set of armor to get all the effects and fight with enemies. All the characters have super powers and can perform some tricks. 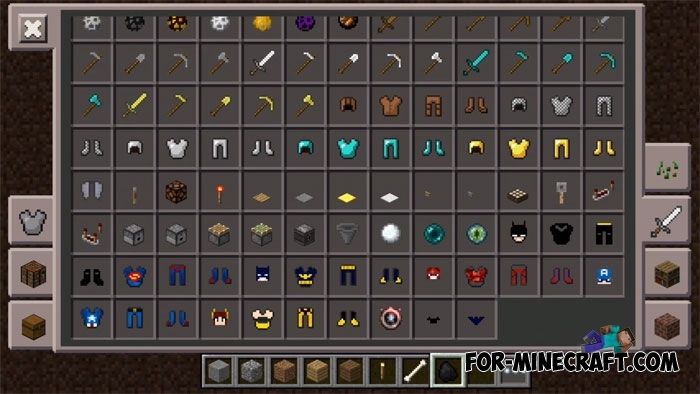 All costumes have crafting recipes and can be obtained in the survival mode. This will be especially useful if you like to fight or move fast. In addition, the original armor remained unchanged in the inventory. 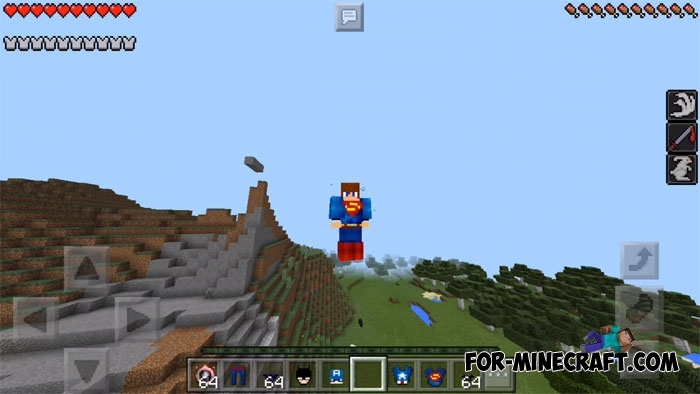 How to install the Superheroes mod? Then click on the downloaded mod and start your world.